Reading A440 Choir was founded in 2011 by Stephen Tyler, as a new opportunity for choral singers in the Berkshire area. Stephen was inspired by a desire to explore novel and innovative ways of presenting choral music as part of a larger narrative. During his time as Musical Director, he showcased this distinctive quality through collaborations with a broad range of artists including actors, poets, painters and dancers. 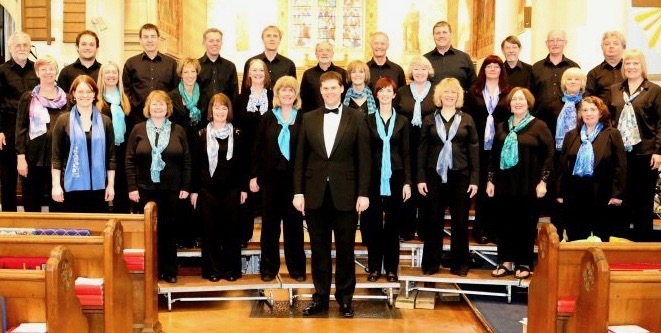 The Choir soon became one of the leading amateur choirs in the area. As MD, Stephen arranged and composed some wonderful and inventive pieces for the choir. These were inspiring and diverse, for example ‘How Much is that Doggy in the Window’ (Mayor of Reading’s Choral Festival winner) and three War Poems by Wilfred Owen (performed at Llandudno Remembrance Day Cenotaph service and at a Wilfred Owen Vigil at Dunstan Green Church, to commemorate the 100 year anniversary of World War I) Listen below! Click here to learn more about how Reading A440 commemorated the 100 year anniversary of WW1. In 2016, Stephen‘s career took him to the USA and Reading A440 embarked on the next phase of its creative journey with Lucy Joy Morris taking over at the helm.